I believe there are a finite amount of times in a person’s life when they are doing something and are suddenly struck by the overwhelming significance of their ongoing experience. Sometimes it is when we are doing something for the last time, for example attending your last high school dance or competing in your last competitive swim meet. Other times, it is because of a strong emotional connection to the people or location associated with the event—for example going to a concert or having lunch at your favorite restaurant with friends. Regardless of the explanation, I believe that such moments are rare and should be celebrated. While in Vienna, I was privileged enough to experience one of these moments. 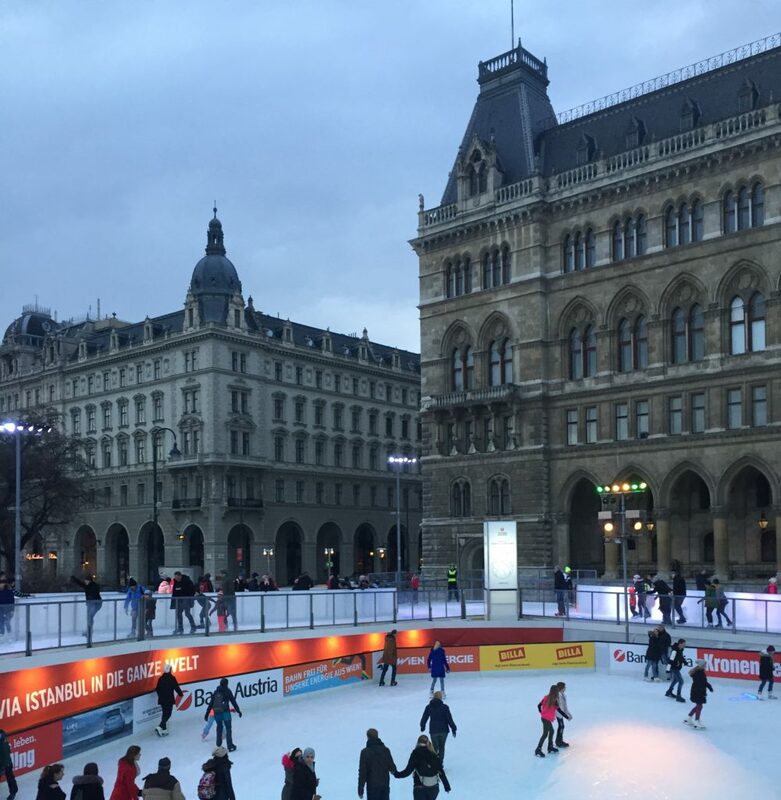 When translated into English, “Wiener Eistraum” means “Vienna Ice Dream” and is a fitting title for the yearly spectacle that occurs at Rathausplatz. Rathausplatz is the city center of Vienna and from January to March, it holds Wiener Eistraum; a massive ice rink, complete with a ribbon path, multiple levels, and beautiful lights. Having grown up in the Midwest, I’ve seen plenty of ice rinks. However, Wiener Eistraum puts them all to shame. There are several factors that make Vienna’s setup unique. First and foremost, Wiener Eistraum is massive. With approximately 9000 m2 of skateable ice, there is enough space to accommodate thousands of skaters each day. There is an ice path that weaves through the park, several larger rinks, and a low-incline ramp for skaters to reach a second story mini-rink. Next, there is the atmosphere. 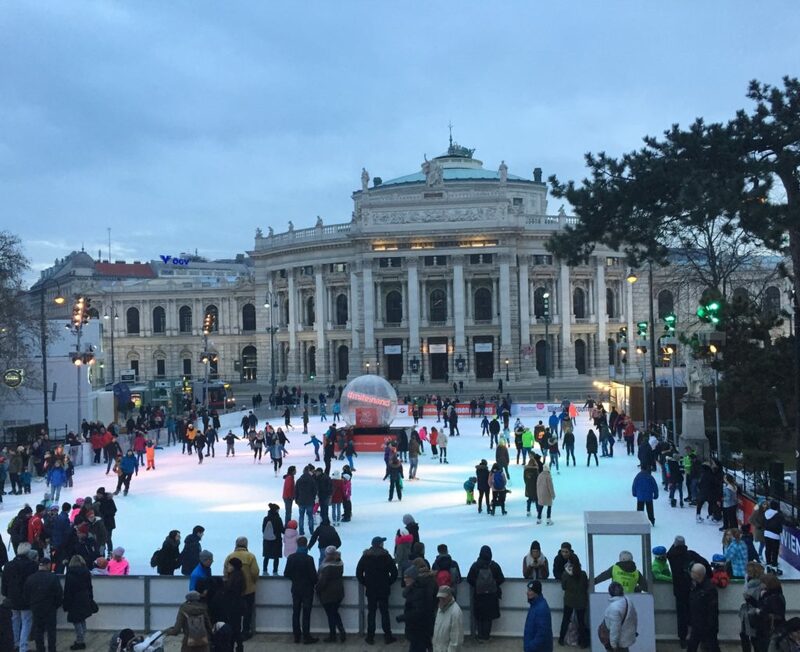 Wiener Eistraum is open from 10am-10pm and regardless of what time you skate, you are treated to a remarkable view. During the day, the Rathaus (Vienna City Hall), the Burgtheater (Austrian National Theater), and several other major landmarks offer magnificent scenery. When it gets dark, these buildings and the surrounding park are elegantly lit up in a variety of colors. A DJ playing a mix of popular music and audience requests can be heard from anywhere on the ice. 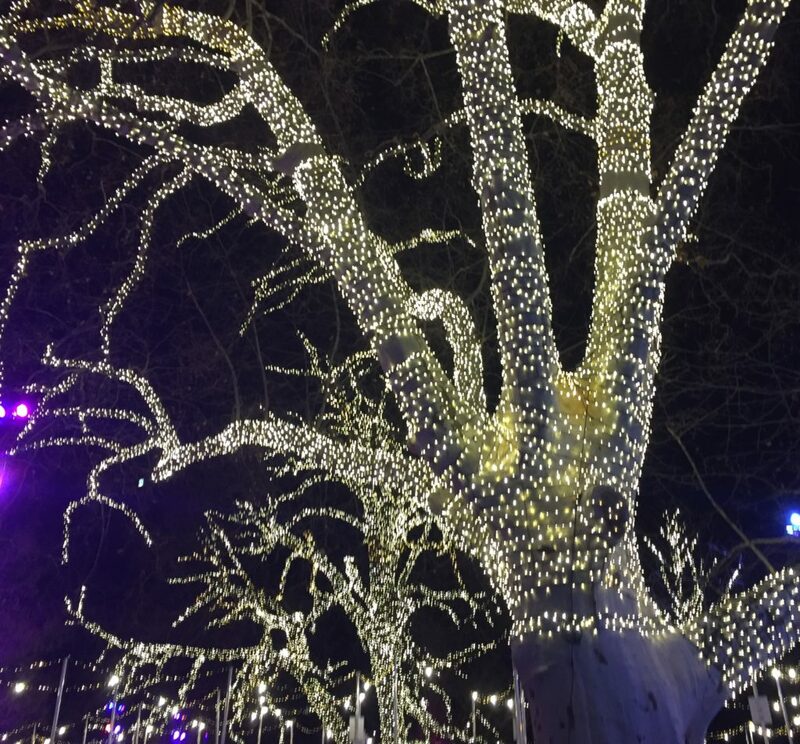 In addition to the rink, Wiener Eistraum is accompanied by a village-style food court—complete with authentic Austrian cuisine, picture-worthy desserts, and delicious beverages. Skaters have paid access to lockers and skate rental, while helmets for children are complementary and recommended. Every so often, sections of ice are partitioned off and manicured by a crew of zambonis in order to keep everything smooth. As I skated along the path, I found myself suddenly overcome with emotion. 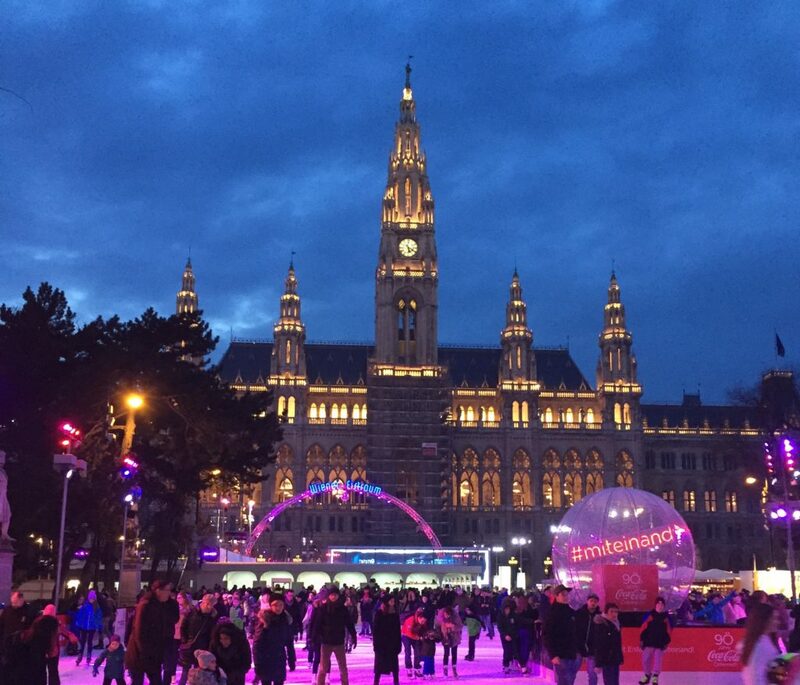 I was ice-skating in Vienna. Me. Zach. That moment will be forever engraved in my mind, etched perfectly like a sculpture carved in ice. I will forever remember the beauty of the city, the authenticity of the experience, and the overwhelming joy I felt in my heart. My friends and I took pictures in front of the Rathaus, the Burgtheater, and the food court. 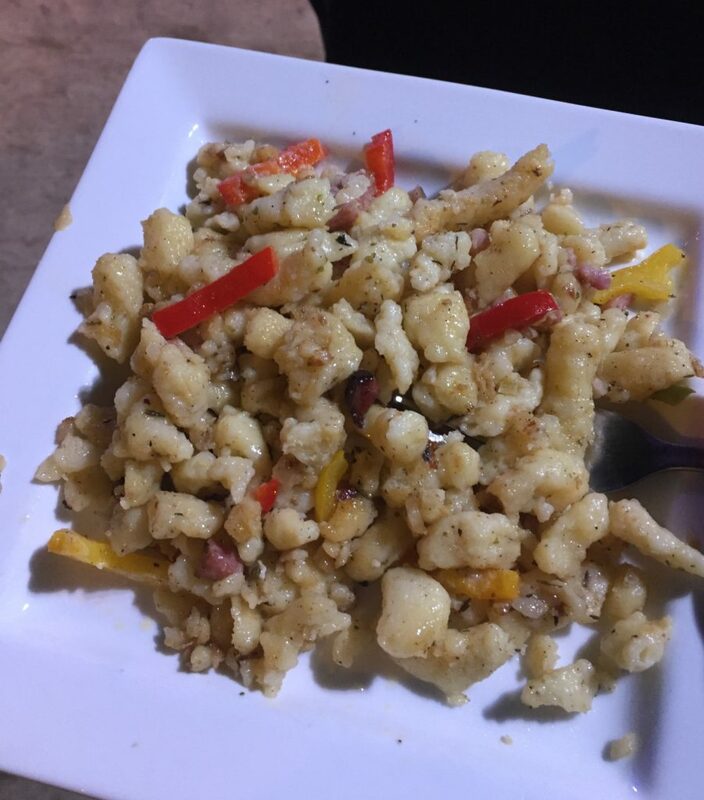 For dinner, I had the most delicious sausage and spätzle I ate all weekend. 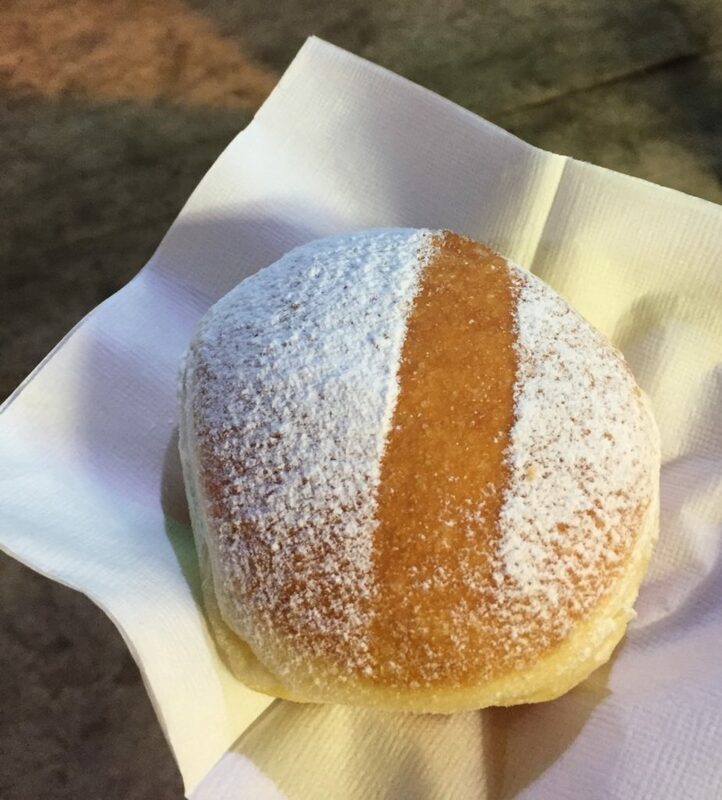 For dessert, I had several different pastries. Life is good.